Muscles are the actual driving force behind every movement of our body. 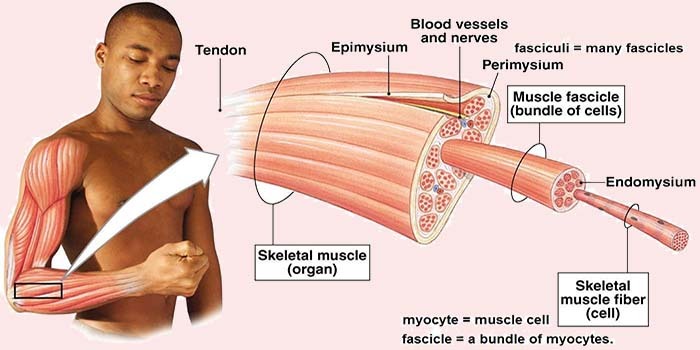 In this article, we will learn what muscle fibers are, their types, and influence on our body. Before that, you should first know the purpose of body muscles for a proper understanding of muscle fibers. A muscle is a soft tissue responsible to create motion and force. It is the courtesy of our muscles that we can walk, run, lift weights, and our organs are functioning properly. We have 3 types of muscles in almost every part of our body. These muscles are the reason our heart functions properly. Cardiac muscles operate themselves and we have no control over them. Smooth muscles are responsible for the proper functioning of all organs in our body except the heart. These muscles also work involuntarily just like cardiac. These are muscles that contain muscle fibers and are responsible for the movement of our bones. Unlike other muscles, skeletal muscles are under control our consciousness. There are over 600 skeletal muscles in a human body making up about 40% of its weight. We now understand that it’s the skeletal muscles that allow us to move our body as per our will. There are 3 types of muscle fibers in skeletal muscles of each body. These are the smallest fiber types with a darkish red color and also known as Slow Twitch Fibers. They have a slow twitch rate and generate a small amount of force when they are contracted. Type I Fiber Muscles have a high amount of Mitochondria within each cell that uses oxygen to produce energy. These fibers can be active for a long period of time which means they are highly fatigue resistant. Type I fiber muscles are activated during activities that are not very intense like walking and aerobics. Here see How Type I Fiber Works and Decreases Your Weight. These fiber are also Red just like type I but slightly larger in size. Type IIa Fibers are also known as Moderate Fast-Twitch Fibers. They use a combination of glucose and oxygen as a source of energy. They create a faster contracting speed and higher force compared to type I but are less fatigue resistant. Type IIa muscle fibers are activated during activities that are moderate in duration like swimming, mild run, or low distant cycling. Type-IIx have low oxygen capacity, are largest in size, and white in color. These fibers have a high level of glucose that produce the fastest twitching speed thus also named Fast-Twitch Fibers. 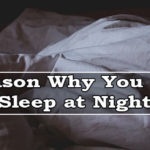 They also generate the most force of all muscle fibers but have a very low fatigue resistance and burn out within 15 to 30 seconds. Type-IIx fibers are activated during high impact activities such as weight lifting and sprinting. All these muscle fibers are activated in an order every time we perform a physical activity. First the type I fibers activate when they max out then type-IIa fibers and, at last, the type-IIx fibers are activated. This activation order is called Henneman’s Size Principal. This order of muscle fibers keeps the fatigue as less as possible and uses only necessary force. When we perform intense physical activity our muscle fibers are torn out and then they regenerate themselves. Newly generated fibers are stronger and bigger in size than before. Here you can read an academic article how our muscles grow.